As part of a two-hour-plus interfaith service April 7 for the Very Rev. James V. Matthews II, community leaders both sanctified and secular praised the rector of the Cathedral of Christ the Light as a man whose faith transcended his Catholic faith and the problems of the world. At the vigil and interfaith gathering at the Cathedral of Christ the Light at Grand Avenue and Harrison Street in downtown Oakland, it was an outpouring of love and respect for “Father Jay,” as he was known throughout the diocese, who died on March 30 of an apparent heart attack at the age of 70. There were many more laughs than tears on this night, where Matthews was honored as a major faith leader and a man who loved to show up at people’s parties and barbecues. Harris said he met Father Jay at a ’60s theme party. “Little did I know the guy I was ‘bumping’ with had a collar on,” Harris said. The Rev. J. Alfred Smith Sr., pastor emeritus of Allen Temple Baptist Church in Oakland, said Father Jay graced his sanctuary’s doors many times, despite their denominational differences. “We will not weep as those who have no hope, because his hope was Jesus,” Smith said. U.S. Rep. Barbara Lee of Oakland said she looked to Father Jay for help with matters spiritual and secular. “In my good times and my bad times, Father Jay was there for me, just as he was there for you,” Lee told the gathering. Oakland Mayor Libby Schaaf said she met Matthews in the 1990s at the Marcus Foster Education Institute, where Matthews would sometimes speak. She soon knew, she said, that she wanted him to officiate her wedding — and he did. Schaaf said she chose Father Jay before she chose her husband. Matthews was born in Berkeley and raised in Oakland, where his family moved in 1960. 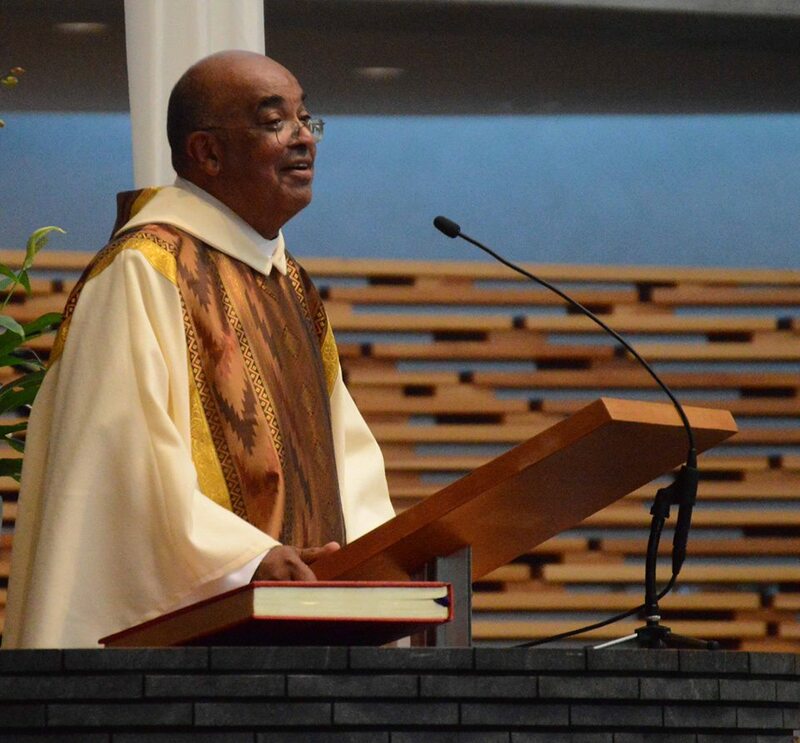 He was the first African-American ordained priest in Northern California, joining the priesthood in 1974. He served as pastor of St. Benedict Church in East Oakland for 26 years before taking over as rector of the Cathedral of Christ the Light, the centerpiece of the diocese, in 2015. Next PostBeyond the tampon tax: How far will California go to end 'menstrual inequity'?